We humans are experts at learning. We don’t need to show babies how to learn. As soon as they’re born, they begin. Movement is key to learning. The Feldenkrais Method® works by inviting us to attend to small differences between movements and assess which are preferable: which use less energy, are more direct, and feel better. At any age we can notice these differences, learn, and improve. Literally our brain grows new neural connections: dubbed neuroplasticity, this ability of our brain to change has become a buzz word. Buzzy or not, it’s still true we can learn and improve. It’s pretty darn cool. 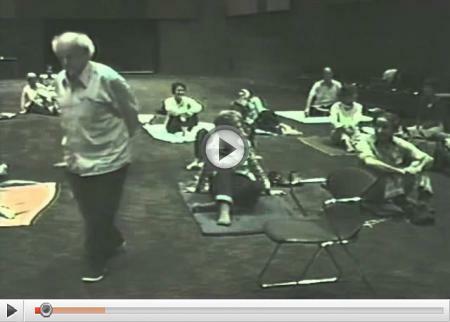 Feldenkrais teacher Rich Goldsand just produced a nice video demonstrating with several clients how the method helps them. Watch it below. This entry was posted in Babies / Developmental Movement, Health, Neuroscience, Somatic education, Theory and tagged brain, learning, neuroplasticity on June 13, 2017 by DallasFeldenkrais. 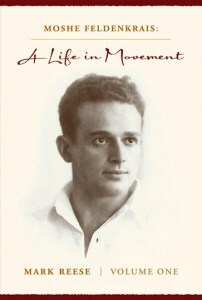 To learn more about the pioneer of the Feldenkrais Method®, Moshe Feldenkrais, D.Sc., there’s no better source than the recently published first volume of his biography, Moshe Feldenkrais: A Life in Movement. At 566 pages (including footnotes), the book is a remarkable achievement. Author Mark Reese worked closely with Dr. Feldenkrais, and was himself a teacher of the method, as well as a scholar. May 6 is Moshe’s birthday. I never met him in person, but am forever grateful to have discovered his work. Here he is teaching a public workshop, speaking about good posture and Campbell’s soup. Happy birthday, Moshe! This entry was posted in Somatic education, Theory and tagged founder, Mark Reese, neuroplasticity, Norman Doidge on May 2, 2016 by DallasFeldenkrais.